It sounds like tech recruiting startup Whitetruffle has already seen some early success — the company says that in its beta test, its network has already grown to more than 2,000 employers and 30,000 job candidates. But it’s hoping to get even bigger (especially on the employer side) with the launch of a free plan. 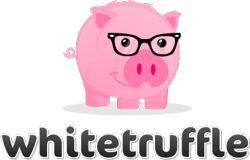 Whitetruffle works as an matching service between job listings and candidates. Users can create anonymous profiles, then the company says it looks at more than 50 categories to identify likely candidates for a job. Companies get to see candidates’ qualifications, but their name and contact info is hidden until both sides agree to the match. (Once they do agree, Whitetruffle sends an introductory email.) Co-founder Alex Deve told me that this approach addresses the two big challenges in the job search — relevancy and intent. Candidate search services will indeed find highly relevant candidates, but most of them aren’t going to be that interested in the job a company is recruiting for, so there’s a low response rate. Posting on a job board, on the other hand, will lead to lots of applications, but only a few of them will be relevant. Whitetruffle can avoid these problems with its matching algorithm — the candidates only see jobs that they might actually be interested in, while companies only see candidates who might actually be suited for the job. The company says that during the beta (participants included Asana, Pebble, Eventbrite, LearnVest, and Dropcam), employers cut down on sourcing time by at least 30 to 40 percent, and that 50 percent of the hires were people who already had full-time jobs. Deve added that until now, the startup’s business model was similar to traditional recruiting — it collected a fee for each successful hire. Now, however, the company is switching to subscription plans. Companies can actually can post one job listing from a single account for free, and then pricing starts at $660 per month. The reason for the new approach? Customer feedback. According to Deve, a number of companies said, “We don’t like this idea of having a premium our success.” Initially, he expects Whitetruffle’s revenue to take a hit, but ultimately he’s hoping that this will expand both the kinds of companies who can afford to use the service and the types of jobs that they might list on the site. After all, he suggested that there are some jobs where it doesn’t make sense to pay a significant recruiting fee. “There’s a whole bunch of people out there, they don’t want to pay those big fees,” he said. “We’d like to have a product for them. We want a product where people can grow with us.” Whitetruffle says it has raised $1.2 million from Jerry Yang (through AME Cloud Ventures), Scott Banister, Morado Ventures, Kima Ventures, and various angel investors.